Miguel Angel Lopez confirmed his “Superman” status in Colombia this season after ending on the podium in two the world’s most important cycling races. Lopez finished in third place in the Vuelta a España behind Englishman Simon Yates and Spaniard Enric Mas on Sunday. For the 24-year-old cyclist from Boyaca, this was the second Grand Tour podium finish of the year, after he also finished third at the Giro d’Italia. Colombian cyclist Nairo Quintana was one of the pre-race favorites for the red jersey, but the 28-year-old was never the strongest in the mountains. Quintana, the winner of the Vuelta in 2016, then got stuck in the Team Movistar team orders when teammate Alejandro Valverde stayed top three for most of the race. Quintana had to sacrifice himself for the 38-year-old Spaniard and finally finished in eighth position. Rigoberto Uran, another Colombian cyclist who recovered from the crash that caused him to drop out of the Tour de France, sat close to the top three for most of the race. But bad days on the never-ending Covadonga and the gruelingly steep Alto del Balcon de Bizkaia made him resign his chances on the podium. ‘Superman’ Lopez kept pace with the best on the mountain stages, but his poor time-trial qualities cost him, losing time on all of his rivals in the 32-kilometer-long time trial to Torrelavega. On the other hand, Team Mitchelton-Scott rider Simon Yates never looked challenged in the mountains and snagged the victory. With Superman’s third place in the Vuelta a España, Colombia continues the incredible record of Grand Tour podiums. 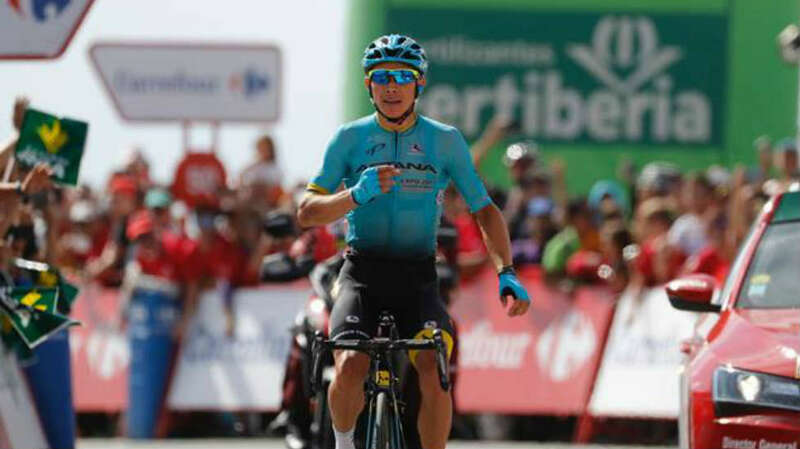 Since 2013, Colombia obtained 13 podiums between the Giro d’Italia, Tour de France and Vuelta a España including two victories from Nairo Quintana. The peloton will now move on to the World Championships Road Cycling in Innsbruck, Austria at the end of this month, where the “escarabajos” with Nairo, Rigo, Superman and Sergio Luís Henao are strong contenders for the rainbow jersey on the mountainous course with almost 5000 altitude meters.